A fun, quick project kids love! 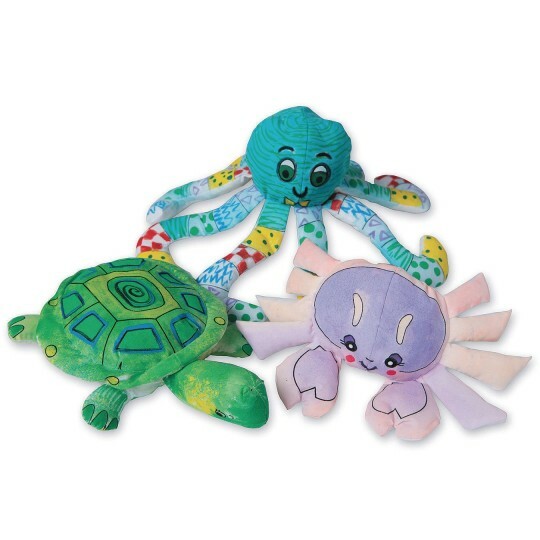 4 each of a 100% cotton crab, octopus and turtle. 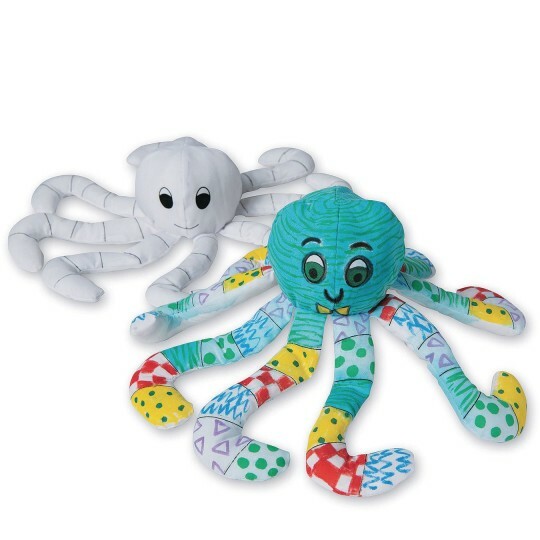 100% cotton soft sea pals to color and cuddle. 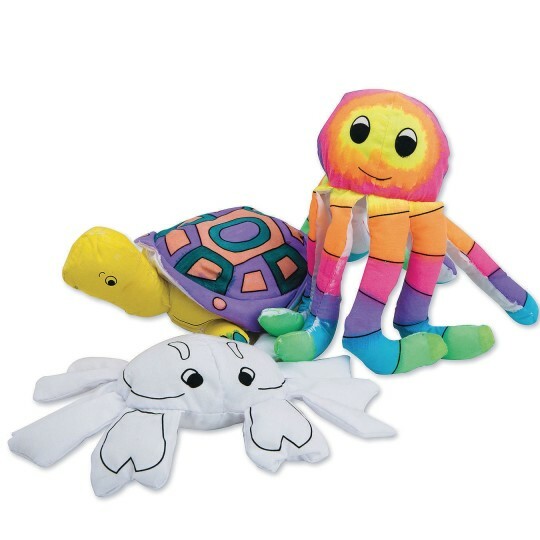 4 each of 8" x 5-1/2" crab, 8" x 11" octopus and 10" x 6" turtle. Decorating supplies sold separately. 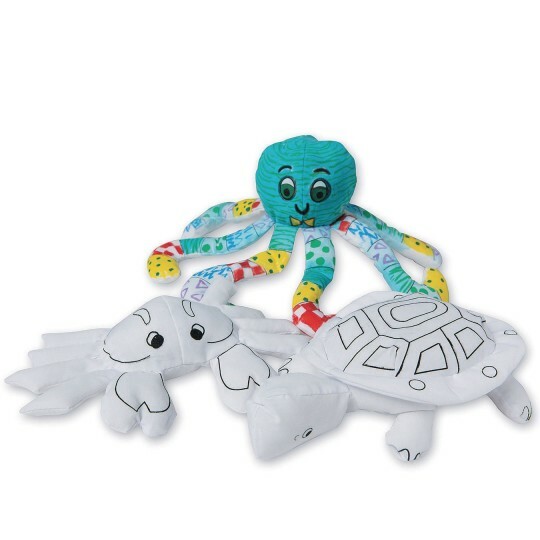 Pack of 12.
these are highly requested we always run out of the octopus and turtles first love to use permanent markers on them. I really love the variety in this pack. 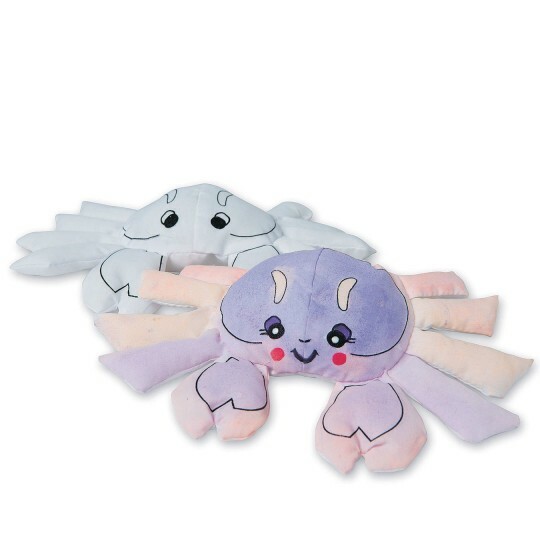 My only complaint is that sometimes the crab's claws are sewn on the wrong side!! Otherwise it's pretty good quality. Small simple project. Would prefer them to be heavier. Good quick project.